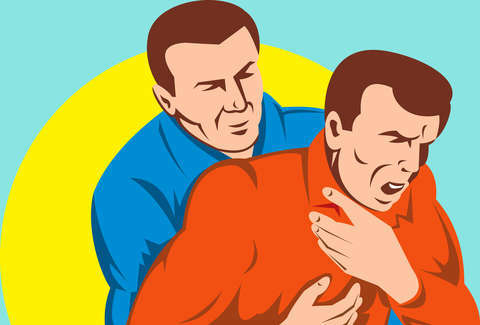 When you think of the Heimlich maneuver, you probably conjure up images of heroic amateur lifesaving -- it's easy to learn, simple to perform, and its widespread dissemination is an ingenious strategy for turning any restaurant diner into a first responder. You hope you never have to use it, sure, but it's a damn good thing it exists. Usually a medical discovery of this magnitude requires years of peer-reviewed research to verify the claims. In the strange case of Dr. Henry Heimlich and his maneuver, the only requirements for creating a nationwide trial of his technique were his all-star name and some well-placed contacts -- none of the widely accepted protocols that usually accompany implementation of new set of emergency lifesaving guidelines. Unconventional methods, media savvy, and a controversial career spanning virtually the entire period after WWII made Dr. Heimlich a household name. Now, however, the American Red Cross no longer recommends the Heimlich maneuver as the first emergency treatment for a choking victim, and Dr. Heimlich himself asked the Red Cross not to associate his name with their guidelines. What happened? A special report in the 1960s -- aptly titled "The Cafe Coronary" -- brought attention to the phenomenon of people choking to death on food in restaurants, and wrongly being diagnosed as suffering from a heart attack. Putting an end to these tragic beef-and-lobster-induced deaths would mean saving thousands of lives each year, a number almost no doctor can come close to on her own. Dr. Heimlich, a thoracic surgeon in Cincinnati, was particularly intrigued by the challenge after reading a New York Times article highlighting choking death statistics. He had already risen to fame by pioneering a esophagus operation, dubbed the "Heimlich operation," and a lifesaving medical device called the -- get ready -- "Heimlich valve." These two innovations shot him to medical stardom in an era long before Dr. Oz was old enough to put on scrubs. While most people would be content with one or two medical breakthroughs, Dr. Heimlich saw the cafe coronary epidemic a a chance to save more lives than any other person (easy peasy). But, as the old saying goes, if you want to develop a lifesaving maneuver, you have to strangle a few dogs first. Strangling a dog is exactly what Dr. Heimlich did in 1973, when he set out to discover his maneuver. After several failed attempts, Heimlich finally found the exact technique needed to eject the tube from the dog's throat. Once the maneuver showed consistent promise, he replaced the tube with pieces of meat, garnering the same exciting results (and, probably, sad puppy) as before. The Heimlich maneuver was a success... on dogs. How does one test a technique that's designed to be performed on a human facing imminent death? Heimlich decided on an alternative method: rather than going the traditional route of trials, peer-reviewed studies, and other medical protocols, he wrote an informal article, in which he asked readers to attempt his maneuver should the need arise, then report the results directly to him. With this brilliant maneuver (GET IT? ), Heimlich had found his human test subjects -- no tubes, grant proposals, puppies, or labs required. Heimlich Mania sweeps the nation! As the testimonials rolled in -- thanks in no small part to Heimlich's strategic partnerships with syndicated columnists -- Heimlich's celebrity spread. Despite the increased press coverage, the American Red Cross refused to replace the choking protocol of back blows with the Heimlich maneuver, due to a lack of scientific evidence. The maneuver seemed stuck. Determined to prove that his maneuver was the only treatment for choking, Heimlich took to the public once again, essentially flipping the bird at the medical establishment. He produced a horror film about choking, casting himself as the "angel of lifesaving." He toured the country speaking to huge non-medical audiences about the maneuver, even demonstrating it on Johnny Carson for The Tonight Show. The public just couldn't get enough of Dr. Heimlich and his sweet, sweet moves. But for Dr. Heimlich, public acceptance of his maneuver wasn't enough; he published article after article after article condemning back blows, claiming they could cause "complications and death" in children. Dr. Charles Guildner, an anesthesiologist sympathetic to abdominal thrusts, decided to test the effectiveness of Heimlich's method against back blows and chest thrusts on human volunteers. When Dr. Guildner concluded that chest thrusts were more effective than the Heimlich, he made the rookie mistake of presenting his findings to the man himself. Heimlich responded by calling Guildner's human trials unethical and filing complaints against him with a variety of major medical associations. All charges were eventually dropped, but it was a clear message that dissent would be met with strong and swift resistance. In 1985, the American Red Cross decided to acquiesce to Dr. Heimlich. With the glowing endorsement of the surgeon general, who may have been influenced by personal experience, the Heimlich maneuver became the exclusive emergency method for rescuing a choking victim, though the Red Cross maintained that back blows and chest thrusts were also effective. What he is saying is that you should obey the Red Cross just like Germans had to obey Hitler. You might think that Dr. Heimlich would let the matter rest there, with worldwide fame and mainstream medical acceptance. You clearly don't know Henry Heimlich. Could the Heimlich be used for drowning victims? Winning the choking war was only a small victory for Heimlich. He insisted that his maneuver be the first response for ending asthma attacks, helping cystic fibrosis patients, and, most notably, saving drowning victims. When the American Red Cross (and the American Heart Association) snubbed the Heimlich in favor of more science-backed approaches for drowning, the doctor took to the streets and airwaves once again. If the evidence for the maneuver's use was weak at best for choking victims, then the evidence for it as a method of drowning rescue was a piece of balsa wood trying to hold up a skyscraper. This time, Heimlich cited a handful of questionable testimonials reported by a long-time associate named Dr. Edward Patrick. During his life, Dr. Patrick claimed to be the co-creator of the Heimlich maneuver, going so far as to call it the "Patrick-Heimlich maneuver." One report presented evidence that Dr. Patrick hadn't even completed his residency -- served in a department headed by Dr. Heimlich -- and shouldn't have been given a license to practice medicine. When a Detroit paper called the rescuer of a 2-year-old near-drowning victim who Heimlich and Patrick claimed was saved by the technique, the man said he didn't know the Heimlich maneuver existed at the time, let alone use it in his rescue. Heimlich called him a "liar" and "totally unscientific." That didn't deter Dr. Heimlich, who once again sloughed off the chains of science and made a direct appeal to the folks who mattered on the front lines: lifesaving agencies, especially ones that had deals with theme parks and other major commercial venues. Effectively, Dr. Heimlich asked them to ignore the Red Cross' official recommendations in favor of what he believed to be superior lifesaving methods. When the head of the US Lifesaving Association questioned the ethics of this approach, Dr. Heimlich compared the American Red Cross to Nazi-run Germany, saying, "What he [the president of the USLA] is saying is that you should obey the Red Cross just like Germans had to obey Hitler." Though he was a voracious advocate of his maneuver, Heimlich's laboratory efforts to discredit opponents were quickly shot down. At one point, a researcher offered to test the maneuver's efficacy in near-drowning situations by experimenting on Heimlich's favorite guinea pigs: dogs. You'd think Dr. Heimlich would be first in line for the dog-dunking booth, but not so; he joined forces with animal rights groups to have the "cruel" study shut down. Not wanting to "start another war," the study's organizer canceled it. Good news for puppies! One of the problems with using the Heimlich on a drowning victim is that it may cause the victim to vomit and, somewhat ironically, choke. After researching one such case study, Dr. James Orlowski found himself on the receiving end of Heimlich's (by way of Dr. Patrick) attacks. Initially, Dr. Orlowski suspected little more than bad science was behind Dr. Patrick's response, which called out Orlowski's "anecdotal" claims right before relying on its own anecdotes. Heimlich's entire maneuver was based on a false understanding of drowning, which Orlowski was more than happy to refute. But Heimlich wrote his own response, which the journal refused to publish -- Dr. Orlowski says he saw it, and claims that in it, Heimlich called him a "liar" and "totally unscientific." Despite the mounting evidence, the Heimlich maneuver continued to be taught as an option in drowning cases. But Heimlich's battles were far from over. One of Heimlich's sons, Peter, set out to discredit his father's career, and people started to take notice. Whether by Peter's efforts, or the evidence against the maneuver, or some combination, major organizations began changing their guidelines to exclude the Heimlich for drowning victims. The Heimlich maneuver isn't the duct tape of the lifesaving world. The process hasn't been quick. Just this year, the last major lifesaving agency to promote the Heimlich for drowning finally removed it from its guidelines. As Heimlich's maneuver was coming under more intense scrutiny, he asked the American Red Cross to take his name off their protocol if they continued to recommend back slaps -- he didn't want to be associated with the organization's standards at all, since "patients were going to die" by not receiving the Heimlich first. 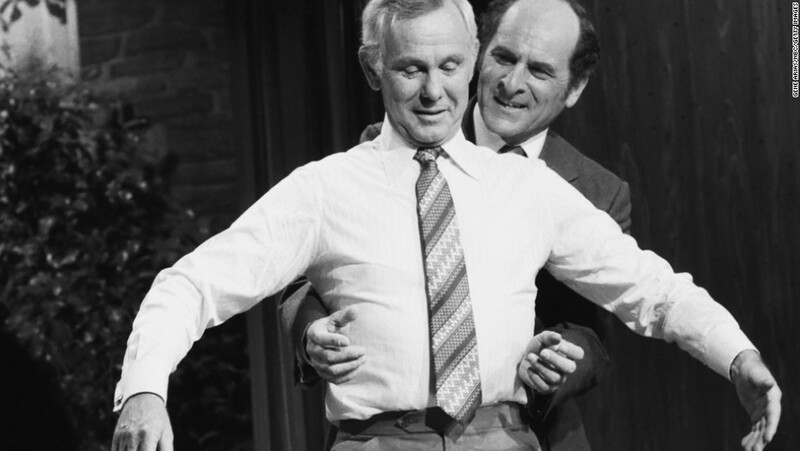 Thirty-one years after the Red Cross and Surgeon General touted Dr. Heimlich's maneuver, the organization recommends only back blows and "abdominal thrusts" for conscious choking victims. No mention of Heimlich. There is some tragedy in the story of Henry Heimlich, which is bookended by his support for malariotherapy -- injecting malaria into HIV patients in the hopes that it will stimulate the immune system to fight AIDS. You can probably guess that not only does this not work, it could produce disastrous consequences. Had Heimlich -- who's still alive at age 96, but did not respond to requests for comment on this story -- allowed his maneuver to remain a useful tool to help save a choking victim, he might have been universally revered; he simply never stopped pushing the envelope. Even his first claim to fame, the innovative esophageal procedure, was probably stolen or borrowed from a doctor practicing behind the Iron Curtain. It now bears the names of both men. The Heimlich maneuver isn't the duct tape of the lifesaving world, and in some cases (like drowning, asthma, cystic fibrosis), it may have done more harm than good. Every doctor has to see death occasionally, but Heimlich may have wound up further from saving "more lives than any person living today" than he ever intended. Nicholas Knock is a freelance writer for Thrillist who is now questioning every CPR class he's ever taken. You can follow him on Twitter @nickaknock.